Zircon (ZUR-con) is a natural Gemstone available in an array of colors. Zircon's name comes from the Arabic zargoon, meaning vermilion. Natural Zircons are one of the few Gemstones with dispersion or fire. 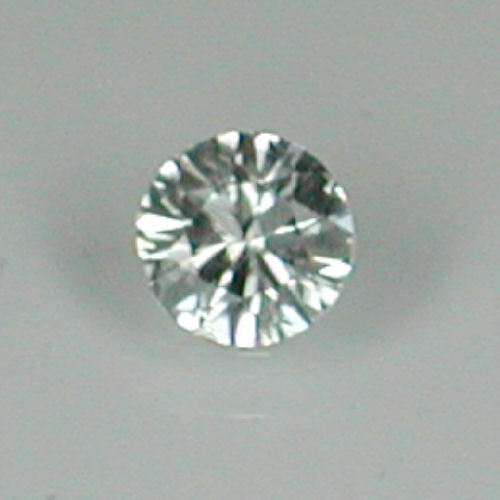 Zircon approaches Diamond in fire, so the Colorless Zircon has been a successful natural substitute for Diamond. Our source for Zircon is Sri Lanka (formerly Ceylon), known for producing some of the finest variety of Zircon, Sapphire, Garnet, Tourmaline, Taaffeite, and Ruby. Other sources are Kampuchea, Myanmar, Thailand and Australia. Colorless, Blue, Green, Golden, Red, Rose and Fancy colors provide an ample choice of colors, the rarest of which is colorless followed by blue and red Zircon in priority of rareness. Zircons are beautiful, natural Gemstones which are currently under priced in the Gem markets. TREATMENTS - Almost all Blue Zircon on the market is heat treated, whereas the other colors are not. The typical treatment process is a permanent process that does not adversely affect the performance and durability of the gemstone, so there's no need to worry when you see this enhancement disclosed. CARE - Zircon is a very good choice for jewelry, but avoid rough wear since these stones tend to abrade. Zircon should be stored in a separate compartment or in a jewelry bag to prevent scratching by harder Gemstones. It is risky to clean Zircon in an ultrasonic or steam cleaner. We strongly recommend Ionic Cleaners and/or warm, soapy water and a soft brush as the best way to clean Zircon. Zircon is easily attacked by acids, and sensitive to heat, so it may be prudent to tell your Jeweler so he/she can refrain from acid etching and also will remove the stone before applying a torch.